Continuing the adventures of Barney and the Beer Can… I mean Joe Bishop and the great and all powerful Skippy. The feels in this one are real and plentiful. I don’t really have a lot to say about this book other than that it is a continuation of the last book with lots more Skippy doing his thing. If you read or listened to the first book and didn’t like Skippy so much, then maybe this series is not for you. But if you loved Skippy then I think you will love this book. R.C. Bray continues doing an amazing job bringing the snark to life. 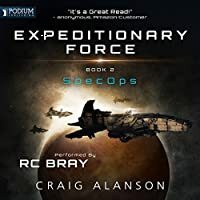 I rate SpecOps an 8 out of 10 and recommend it to anyone who liked Columbus Day. 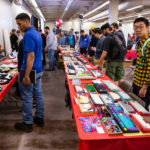 I attended the Mechanical Keyboard Meetup at the Vintage Computer Festival Southeast (VCFSE) in Roswell Georgia. I have attended the VCF a couple of times in the past and it has always been interesting. 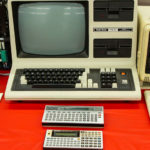 Getting to see and touch computer from my childhood and before is a lot of fun, and even better, many of them are in working order and available to play with. 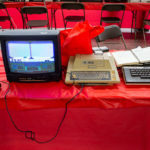 Typing on a Commodore 64 brought back a lot of good memories. Typing on the Atari 400 chiclet keyboard, not so much. The Mechanical Keyboard Meetup was held in a corner of the room with over 100 keyboards on display. It was a great opportunity to see and touch boards from so many manufacturers and custom one-of-a-kind builds. But the environment was so loud that I was not comfortable trying to talk with people, so overall it was not very satisfying. There are upcoming plans for another Meetup in October, hopefully it will be someplace that isn’t so crowded and loud. Over 100 keyboards on display. 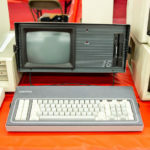 The Commodore 64 was the computer I spent my teens on. 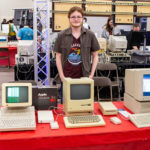 I really like that there are younger people interested in vintage computers. 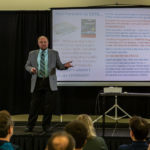 He had some great 128k and SE Macintosh computers. 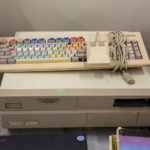 I don’t have a lot of experience with Amiga computers, but my friends always raved about them. 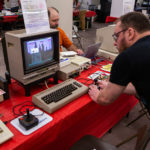 The Atari 400 was my first computer, the chiclet keyboard gave me calluses. I drooled over many of these in the computer stores of the 80s. 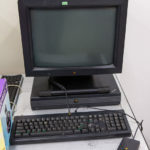 I still have a PC-2, the middle on, with dot matrix printer, somewhere. I loved that computer so much. 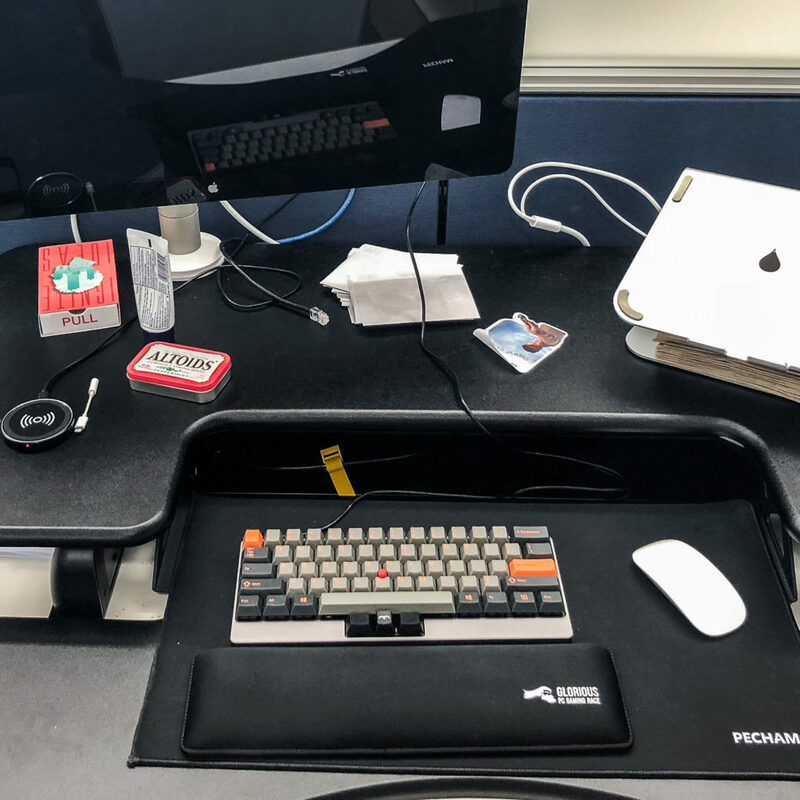 Posted in Computers, Mechanical Keyboards.